A cold-rolled high tensile hollow section made from 100% galvanised steel without welding and painting. Its UNI-Interlocked solution for the hollow section joining are successfully patented over 10 countries such as Malaysia, UK,USA, Australia, Japan, Taiwan, China, Korea, Thailand, India, Sri Lanka and etc. 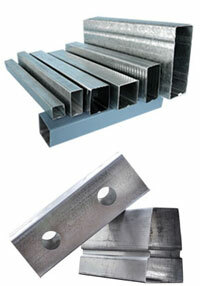 UNI-Interlocked hollow section extremely light but strong due to high tensile strength of 550Mpa. Multiple product dimension and thickness of section profiles gives the builder greater flexibility in determining cost-effective solution.